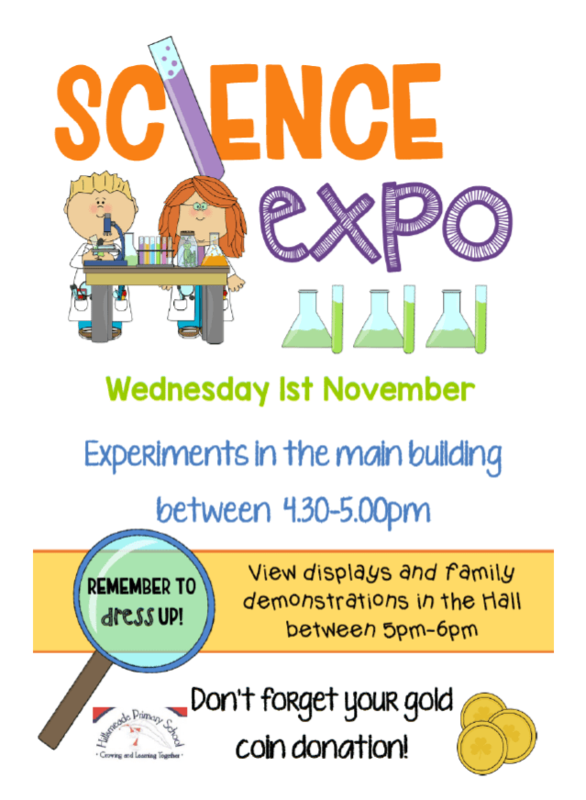 Our Science Expo is coming up on the evening of Wednesday November 1. Family displays & demonstrations will be in the Gym between 5-6pm — if you would like to have a family demonstration please complete and return the registration forms that were sent home last week. Don’t forget to dress up on the night, and to bring a gold coin donation!